The opening hours of Tribhuvan International Airport (TIA) are now 6 am to 3 am the next day. Tourism Minister Rabindra Adhikari inaugurated the new 21-hour schedule on Monday that is expected to reduce congestion at the country’s sole international aerial gateway to some extent. Severe congestion has plagued the airport which has been operating for 18 hours 30 minutes in three shifts daily for decades. “This is a trial. Our objective is to keep the international airport open 24/7 in the near future,” Adhikari said. “Keeping the airport open round-the-clock is also an indication that we need to provide services 24/7 if we really want the country to develop. The ministry is committed to improving facilities like parking, fire fighting, customs, safety and security. It’s not a resource problem, it’s a management problem. If we can manage it, we can double the service levels with the same manpower,” he added. Traffic congestion is also severe on the ground due to a limited number of parking bays. 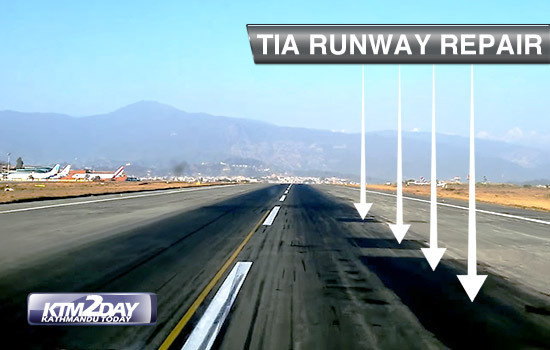 Experts said that TIA had turned into a ‘roll and hold’ airport as its existing infrastructure has not been able to cope with the rising travel demand. 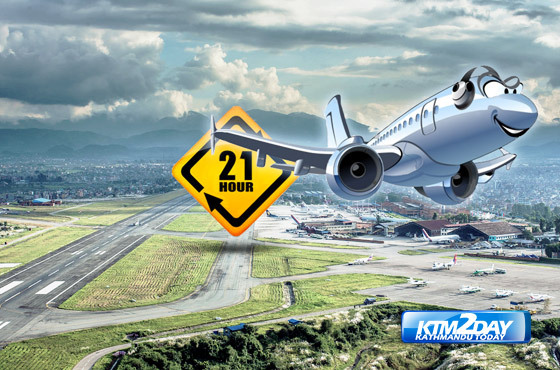 Most international flights operate between 1 and 5 pm, the peak travel time, resulting in chaos for airlines and ATCs. Nearly 70 percent of the international traffic is concentrated during peak hours. Traffic is thin in the mornings till 12 noon and from 6 to 9 pm. During the tourist season, March-May and September-November, TIA handles more than 500 flights daily, 75 percent of them domestic flights. The sole reason behind the congestion at TIA during the tourist season is Lukla flights. And if a flight to Lukla, the gateway to Everest, is disrupted on any particular day due to weather, its rescheduling will create a cascade effect on all flights.